John Townsend has been appointed as a member of the Court of the London Court of International Arbitration (LCIA). The appointment is considered highly prestigious. Townsend was appointed in September 2012 along with Royal Dutch Shell’s legal director Peter Rees QC. “It is great to have the addition of these two stars of arbitration to the already stellar line-up on the court,” LCIA’s director general, Adrian Winstanley, told Global Arbitration Review. Approximately 40 members sit on the court. They are selected to provide and maintain a balance of leading practitioners in commercial arbitration, from the major trading areas of the world. The LCIA board appoints members of the court based on the recommendation of the court, which has a nominating committee to solicit members’ views. The court recommended Townsend for appointment at a meeting on Sept. 14, the effective start date of his five-year term. Among the main duties of the LCIA Court, which was founded in 1892, are appointing tribunals, deciding on challenges against arbitrators, controlling costs of arbitrations and ensuring the proper application of the LCIA rules. 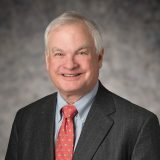 Global Arbitration Review noted that Townsend has been at Hughes Hubbard & Reed since 1971, working in New York, Paris and his current office, Washington DC. He was formerly chair of the board of directors of the American Arbitration Association from 2007 to 2010. He is also a US appointee to the International Centre for Settlement of Investment Dispute panel of arbitrators.